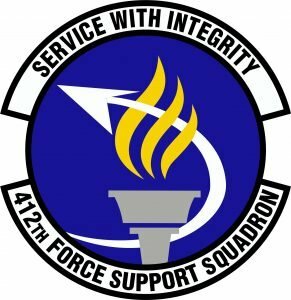 The base honor guard’s primary mission is to provide military funeral honors for active duty, retiree and veteran members who served honorably in the United States Air Force and Army Air Corp. The secondary mission of the base honor guard is performing military change of commands, retirements, retreats and other special functions. The Blue Eagles Honor Guard is a total force honor guard comprised of personnel from Edwards AFB, March ARB and Los Angeles Air Station. The AOR extends from the Ventura County border to the Arizona & Mexico border and from the Pacific Ocean to the Nevada border. To be a member of the base honor guard you must have high motivation and commitment, a desire to excel, approval from your commander, supervisor and first sergeant. You must have the ability to travel and go on TDY rotations to March ARB. Not be on a physical profile or have a shaving waiver. –Handpicked to serve as a member of the Blue Eagles Honor Guard, my standards of conduct and level of professionalism must be above reproach for I represent all others in my service. –Others earned the right for me to wear the ceremonial uniform, one that is honored in a rich tradition and history. I will honor their memory by wearing it properly and proudly. –Never will I allow my performance to be dictated by the type of ceremony, severity of the temperature or size of the crowd. I will remain superbly conditioned to perfect all movements throughout every drill and ceremony. –Representing every member, past and present of the United States Air Force I vow to stand SHARP, CRISP and MOTIONLESS! For I am a ceremonial guardsman.